Looks like a straight racer for Skandia. fleet should bunch up , more breeze coming with the back markers whilst the leaders are in soft stuff going on the snout . Beautifully executed start by Wild Oats. Just looking at the tracker now EAST 4.30PM and Skandia and Wild Oats are only 4nm apart. Looks like a great finish. Can you imagine that bow in the 2nd photo burying itself into the next wave at 20 knots+? Thanks Mid I'm getting all excited just thinking about that great downhill ride. wot he said. Is there any tv coverage on the net? Just listening to the radio sked. Skandia is at 41.10'S, Wild Oats V1 is at 41.08'S. Skandia is presently tracking 1.5 knots faster. 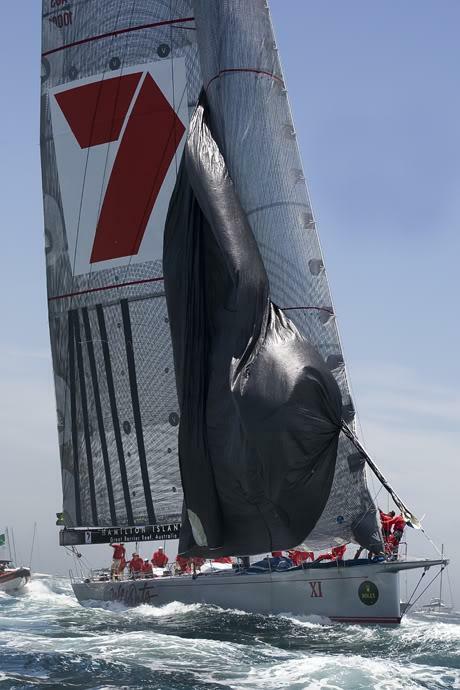 Not even a collision with a shark could stop the inexorable rise of Wild Oats XI as the giant maxi took a narrow lead over Skandia nearing the finish of the 2008 Sydney to Hobart ocean classic. 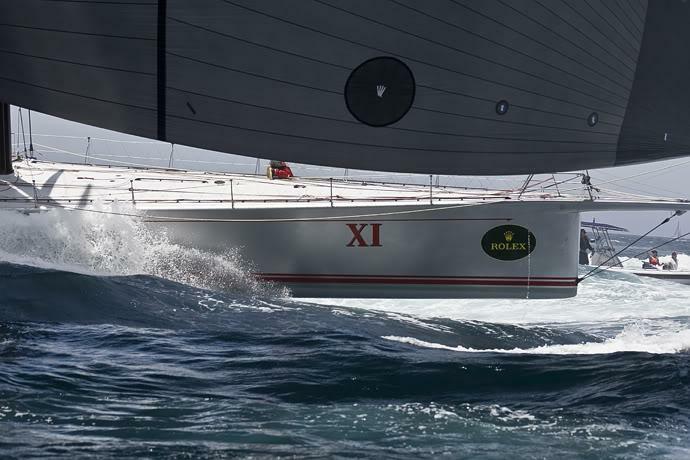 Wild Oats XI battled it out with Skandia for much of Saturday before hitting a two-metre shark just before passing Skandia for the lead east of Schouten Island at about 6.40pm (AEDT). 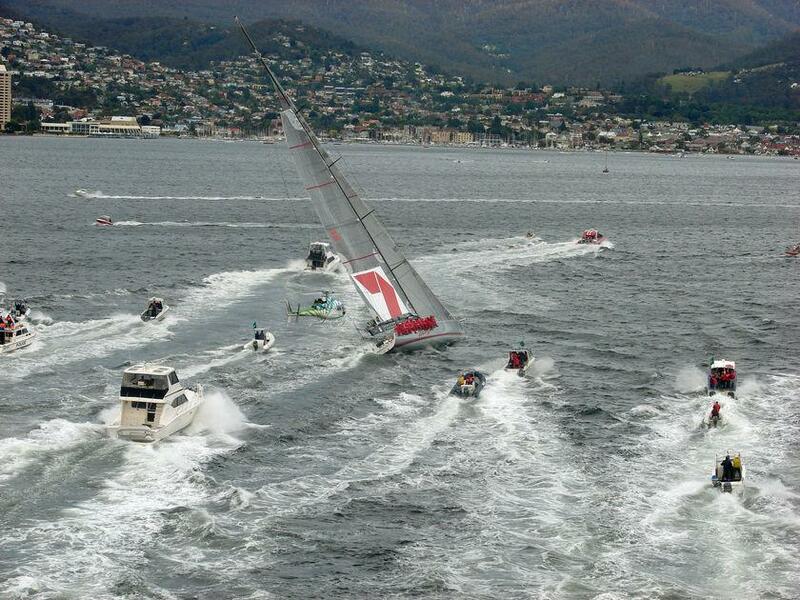 Wild Oats XI takes line honours in the 2008 Sydney to Hobart yacht race.